The voting for our fairy gardens contest has officially ended, and we have tallied up the voting to determine the winners! 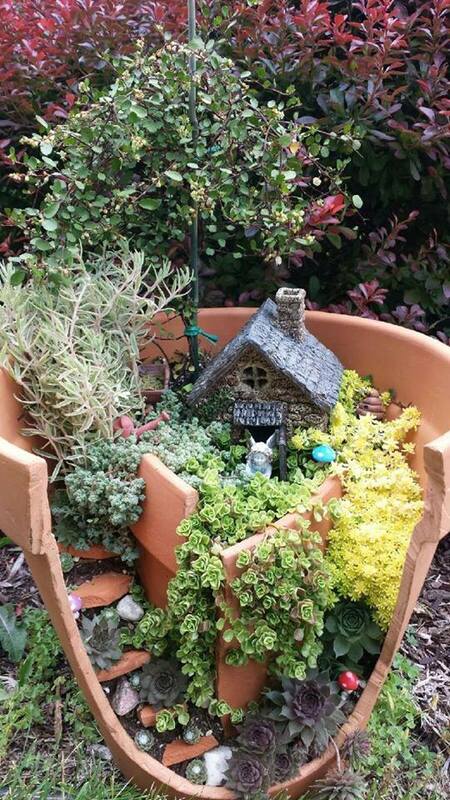 Third place goes to Connie Thompson with this creative little fairy garden in a broken pot. 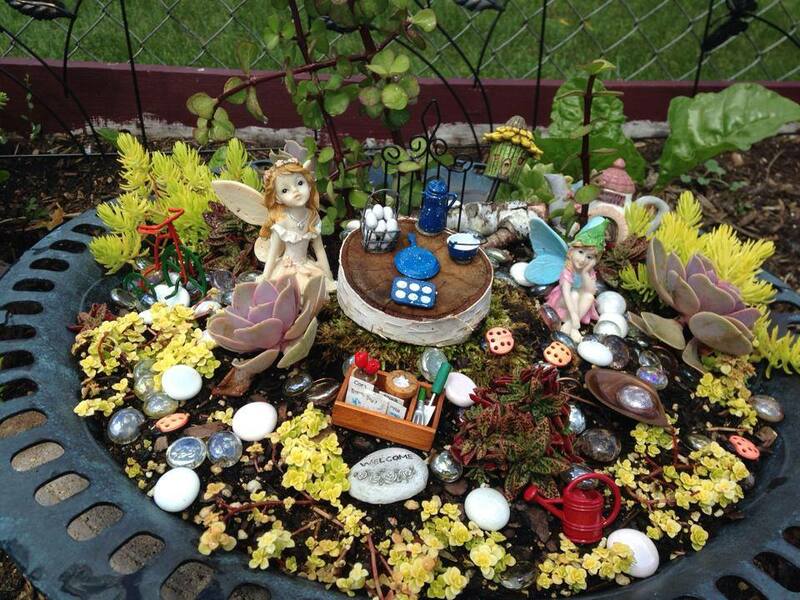 Second place goes to Karen Semke with this eclectic fairy garden in a birdbath. And first place goes to Naomi Borgenhagen and her daughter Willow with this cute little garden with a teapot house. To claim your prizes, simply head on over to Moraine Gardens where they are waiting for you. The deadline for entries has come and gone, and we’ve had a fair number of photos submitted. Now comes the time for voting. You can vote here on this blog post, or you can go over to our Facebook page and vote by liking your favorite fairy garden photo there. To vote here, find the number of your favorite fairy garden by scrolling over the photo; then add a comment on the post with the number of your vote. To get a closer look at these photos, just click on the one you’d like to enlarge. Happy voting! This has been perhaps the most popular inquiry ever since our last fairy garden workshop in April. And since we just can’t disappoint all our wonderful customers, we are scheduling two more workshop dates this June. So mark your calendars for June 9th at 1pm and June 13th at 10am. You can visit this page for more information and to sign up for our workshops. Make sure to sign up quickly because there’s a limited amount of space in each workshop. We’re almost done planting all of the containers that were ordered this spring, and we thought we’d share some of the nicest and most spectacular with you. With nearly 1,000 containers having been planted, our greenhouses are full of all the gorgeous combos. Of course, there’s no way we could show every single pretty container, so you can always stop by and take a look at all the beautiful planters, and maybe get a few ideas for your own yard while you’re at it. With all the crazy weather of the past few days and in celebration of Earth Day, we thought we’d brighten your day with a few pics of all the new plants that are coming to life in the greenhouse. Featured here are some of the combos we’ve been working on. Maybe this will help with your spring fever and get the creative juices flowing. Calla Lilies are just starting to come out. A few pics from out latest fairy gardening workshop. Enjoy and be inspired! This creative gardener made her own little tent out of popsicle stick and a little flashy fabric. 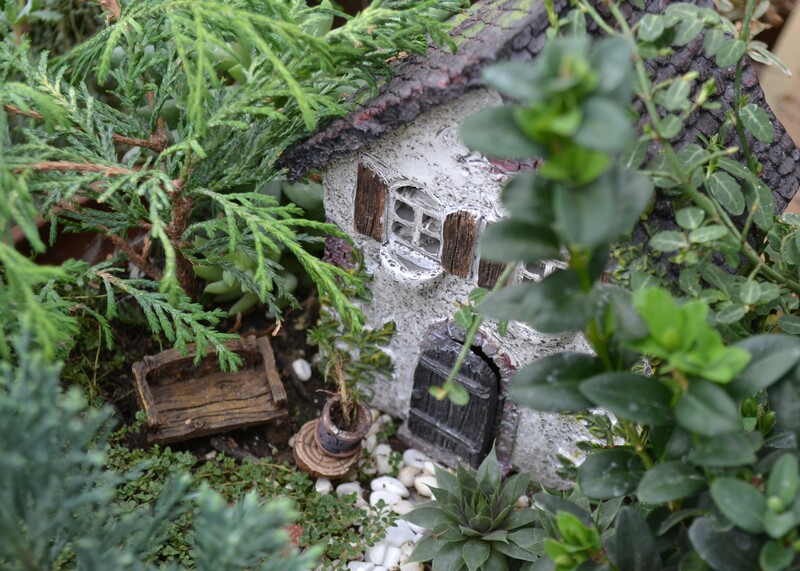 Repurposing old knick-knacks can add a quaint touch to your fairy garden. 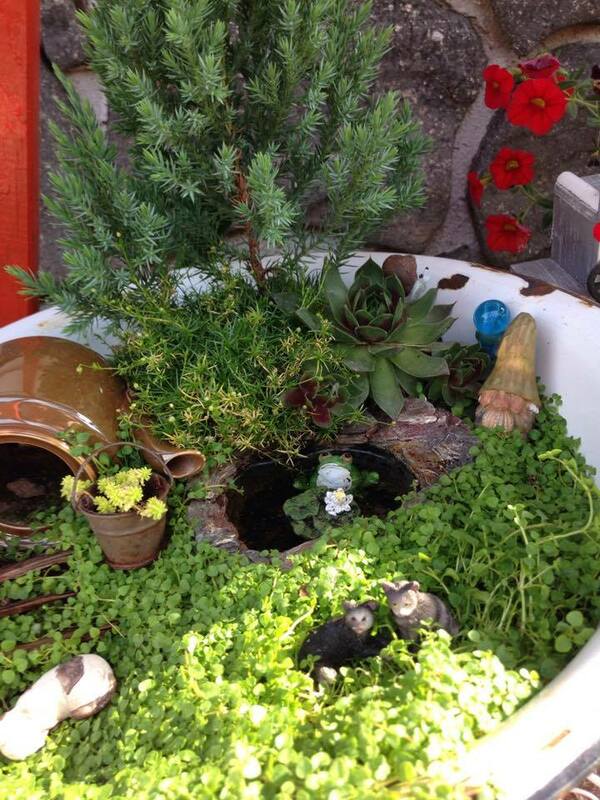 This fairy garden shows that you don’t need a lot to make a little garden look nice. Old gourds make great little houses. This garden showcases one of the new ponds that we are carrying this year. It’s that time of year again, and we’ve begun to schedule our various workshops here at Moraine Gardens. We will be giving our fairy/miniature gardening and container gardening workshops again this year, and we are contemplating adding one or two new workshops–but more on that later. We’re excited about our workshops this spring and are confident that we’ll be able to offer a great workshop experience, since we’ve got a whole year’s experience under our belts this time around. The workshops with be structured much the same way as last year, but we’ve got new plants and a plethora of new houses and accessories that we know you’ll fall in love with. This year, we’re kicking off our workshop season with our “Spring Fever” workshop, a celebration of the first day of spring! This will be a fairy/miniature gardening workshop, and we can’t think of a better way to start out spring than feeling the satisfaction of having completed a whole garden before the last frost. Another highlight of our container gardening season is our Earth Day workshop. In this workshop, you’ll receive some tips on how to make your container gardening practices more eco-friendly as well as general instruction on how to achieve stunning container garden results. You can find more detailed information on our workshops here and specifics for the fairy/miniature workshops here and container gardening workshops here. We look forward to seeing you and sharing the joys of container gardening with you this spring!